Richard J. Ellings is President and Co-founder of the National Bureau of Asian Research (NBR). He is also Affiliate Professor of International Studies in the Henry M. Jackson School of International Studies at the University of Washington. Dr. Ellings is the author of Embargoes and World Power: Lessons from American Foreign Policy (1985); co-author of Private Property and National Security (1991); co-editor (with Aaron Friedberg) of Strategic Asia 2003–04: Fragility and Crisis (2003), Strategic Asia 2002–03: Asian Aftershocks (2002), and Strategic Asia 2001–02: Power and Purpose (2001); co-editor of Korea’s Future and the Great Powers (with Nicholas Eberstadt, 2001) and Southeast Asian Security in the New Millennium (with Sheldon Simon, 1996); founding editor of the NBR Analysis publication series; and co-chairman of the Asia Policy editorial board. 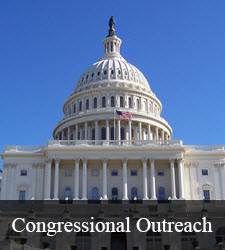 Previously, Dr. Ellings served as legislative assistant in the U.S. Senate, office of Senator Slade Gorton. He earned his BA in political science from the University of California–Berkley and his MA and PhD in political science from the University of Washington. John H. Gill is an Adjunct Professor at the Near East South Asia Center for Strategic Studies in Washington, D.C. He has been following South Asia issues from the intelligence and policy perspectives since the mid-1980s in positions with the U.S. Joint Staff and U.S. Pacific Command staff, among other assignments. A former South Asia foreign area officer in the U.S. Army, he retired as a colonel in 2005 after more than 27 years of service. 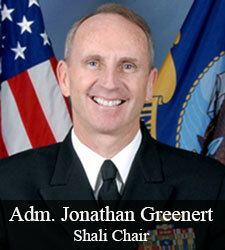 Professor Gill worked on South Asia issues in the Pentagon from 1998 to 2001, including during the 1999 Kargil crisis. From August 2003 to January 2004, he served in Islamabad as the liaison officer to the Pakistan Army for U.S. forces in Afghanistan. His publications on South Asia include An Atlas of the 1971 India-Pakistan War: The Birth of Bangladesh (2003); chapters on current Indian and Pakistani political-military affairs in Strategic Asia 2004–05: Fragility and Crisis (2004), Strategic Asia 2005–06: Military Modernization in an Era of Uncertainty (2005), and other publications; as well as various articles and reviews in periodicals such as The Journal of Military History, Strategic Insights, and Asia Policy. Professor Gill holds BAs in history and German from Middlebury College and an MA in international relations from the George Washington University, and has completed further studies at the U.S. Army Command and General Staff College. Christopher W. Hughes is Professor of International Politics and Japanese Studies in the Department of Politics and International Studies and Pro-Vice-Chancellor at the University of Warwick, as well as Co-editor of the Pacific Review. Previously, he was a research associate in the Institute for Peace Science at Hiroshima University (IPSHU). From 2000 to 2001, Dr. Hughes was a visiting associate professor, and in 2006 he held the Asahi Shimbun Visiting Chair of Mass Media and Politics in the Faculty of Law at the University of Tokyo. He has been a research associate at the International Institute for Strategic Studies and a visiting scholar in the East Asia Institute at the Free University of Berlin. From 2009 to 2010, he was the Edwin O. Reischauer Visiting Professor of Japanese Studies in the Department of Government at Harvard University, and he is currently an Associate in Research at Harvard’s Reischauer Institute of Japanese Studies. Dr. Hughes has received research scholarships from the Japanese Ministry of Education, the Japan Foundation Endowment Committee, the European Union, the British Council, and the British Academy. He is the author of several books, including Japan’s Foreign and Security Policy Under the ‘Abe Doctrine’: New Dynamism or New Dead End? (2015), and holds a BA and MA from Oxford University, an MA from Rochester University, and an MA and PhD from Sheffield University. Mark N. Katz is a Professor of Government and Politics in the Schar School of Policy and Government at George Mason University. He was recently a visiting senior fellow at the Finnish Institute of International Affairs (April–September 2017). Dr. Katz is the author of The Third World in Soviet Military Thought (1982), Russia and Arabia: Soviet Foreign Policy toward the Arabian Peninsula (1986), Gorbachev’s Military Policy in the Third World (1989), Revolutions and Revolutionary Waves (1997), Reflections on Revolutions (1999), and Leaving without Losing: The War on Terror after Iraq and Afghanistan (2012). He earned a BA in international relations from the University of California–Riverside, an MA in international relations from the Johns Hopkins University School of Advanced International Studies, and a PhD in political science from the Massachusetts Institute of Technology. Chung Min Lee is a Professor of International Relations in the Graduate School of International Studies at Yonsei University in Seoul and a Nonresident Senior Fellow at the Carnegie Endowment for International Peace. Dr. Lee served as South Korea’s ambassador for national security affairs (2013–16) and as ambassador for international security affairs (2010–11). He previously served as dean of both the Graduate School of International Studies (2008–12) and the Underwood International College (2010–12) at Yonsei University and currently serves as a member of the council of the International Institute for Strategic Studies. Prior to joining Yonsei University in 1998, Dr. Lee worked at the RAND Corporation, the Sejong Institute, and the Institute for Foreign Policy Analysis. He has also been a Visiting Research Fellow at the National Institute for Defense Studies and the Graduate Research Institute for Policy Studies in Tokyo, and a Visiting Professor in the Lee Kuan Yew School of Public Policy at the National University of Singapore. Dr. Lee is the author of Fault Lines in a Rising Asia (2016). He holds an MALD and PhD in international security studies from the Fletcher School of Law and Diplomacy at Tufts University. Thomas G. Mahnken is the President and Chief Executive Officer of the Center for Strategic and Budgetary Assessments and Senior Research Professor at the Johns Hopkins School of Advanced International Studies (SAIS). From 2006 to 2009, Dr. Mahnken served as Deputy Assistant Secretary of Defense for Policy Planning. He taught for nearly twenty years in the Strategy Department at the U.S. Naval War College. From 2004 to 2006, he was a Visiting Fellow at the Merrill Center at Johns Hopkins SAIS, where he also served as Acting Director of the Strategic Studies Program for the 2003–4 academic year. He served on the staff of the congressionally mandated National Defense Panel and Quadrennial Defense Review Independent Panel, on the Commission on the Intelligence Capabilities of the United States Regarding Weapons of Mass Destruction, in the Defense Department’s Office of Net Assessment, and as a member of the Gulf War Air Power Survey. Dr. Mahnken’s most recent books are Strategy in Asia: The Past, Present, and Future of Regional Security (2014) and Competitive Strategies for the 21st Century: Theory, History, and Practice (2012). He holds an MA and PhD in international affairs from Johns Hopkins SAIS and BA degrees in history and international relations (with highest honors) from the University of Southern California. He is a Commander in the U.S. Navy Reserve and a recipient of the Secretary of Defense Medal for Outstanding Public Service and the Department of the Navy Superior Civilian Service Medal. Oriana Skylar Mastro is an Assistant Professor of Security Studies in the Edmund A. Walsh School of Foreign Service at Georgetown University, where her research focuses on Chinese military and security policy, Asia-Pacific security issues, war termination, and coercive diplomacy. Dr. Mastro is the author of numerous book chapters and journal articles, including “The Vulnerability of Rising Powers: The Logic Behind China’s Low Military Transparency” (2016) and “Dynamic Dilemmas: China’s Evolving Northeast Asia Security Strategy” (2016). She is currently working on a book that evaluates the conditions under which leaders are willing to talk to their enemies during wars. Previously she was a Stanton Nuclear Security Fellow at the Council on Foreign Relations, a fellow in the Asia-Pacific Security Program at the Center for a New American Security, and a University of Virginia Miller Center National Fellow. Highly proficient in Mandarin, Dr. Mastro has worked on China policy issues at the Carnegie Endowment for International Peace, RAND Corporation, Project 2049, and U.S. Pacific Command. She holds a BA in East Asian Studies from Stanford University and an MA and PhD in Politics from Princeton University. Ann Marie Murphy is an Associate Professor and Director of the Center for Emerging Powers and Transnational Trends at Seton Hall University’s School of Diplomacy and International Relations. She is also a Senior Research Scholar at the Weatherhead East Asian Institute at Columbia University and an Associate Fellow at the Asia Society. Her research interests include international relations and comparative politics in Southeast Asia, U.S. foreign policy toward Asia, and governance of transnational security issues. Dr. Murphy is co-author with Amy Freedman of Nontraditional Security Challenges in Southeast Asia: The Transnational Dimension (forthcoming 2018) and co-editor with Bridget Welsh of Legacy of Engagement in Southeast Asia (2008). Her articles have appeared in journals such as Asian Security, Contemporary Southeast Asia, Orbis, Asia Policy, World Politics Review, and PS: Political Science & Politics. She is currently researching and writing a book on the impact of democratization on Indonesian foreign policy. Dr. Murphy holds a BA from Lehigh University and an MIA in international affairs and PhD in political science from Columbia University. Alison Szalwinski is an Assistant Director for Political and Security Affairs at the National Bureau of Asian Research (NBR), where she manages and contributes to the Strategic Asia Program, the Pacific Trilateralism project, and the Space, Cyberspace, and Strategic Stability project. Prior to joining NBR, Ms. Szalwinski worked at the U.S. Department of State and the Center for Strategic and International Studies (CSIS). 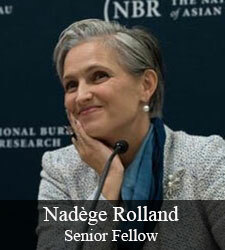 Her research interests include regional security dynamics in Northeast Asia and U.S.-China strategic relations. She is co-editor with Ashley J. Tellis and Michael Wills of Strategic Asia 2015–16: Foundations of National Power and Strategic Asia 2016–17: Understanding Strategic Cultures in the Asia-Pacific. Ms. Szalwinski has lived and worked as an English teacher in Shenzhen, China, where she also continued her language studies in Mandarin Chinese. She holds a BA in foreign affairs and history from the University of Virginia and an MA in Asian studies from Georgetown University’s Edmund A. Walsh School of Foreign Service. Ashley J. Tellis holds the Tata Chair for Strategic Affairs and is a Senior Fellow at the Carnegie Endowment for International Peace, specializing in international security, defense, and Asian strategic issues. He is also Research Director of the Strategic Asia Program at the National Bureau of Asian Research (NBR) and co-editor of fourteen volumes in the annual series. While on assignment to the U.S. Department of State as Senior Adviser to the Undersecretary of State for Political Affairs, he was intimately involved in negotiating the civil nuclear agreement with India. Previously, he was commissioned into the Foreign Service and served as Senior Adviser to the Ambassador at the U.S. embassy in New Delhi. He also served on the National Security Council staff as Special Assistant to the President and Senior Director for Strategic Planning and Southwest Asia. 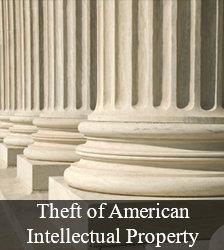 Prior to his government service, Dr. Tellis was a Senior Policy Analyst at the RAND Corporation and Professor of Policy Analysis at the RAND Graduate School. He is the author of India’s Emerging Nuclear Posture (2001) and co-author of Interpreting China’s Grand Strategy: Past, Present, and Future (2000). He holds a PhD in Political Science from the University of Chicago. Michael Wills is Senior Vice President of Strategy and Finance at the National Bureau of Asian Research (NBR). 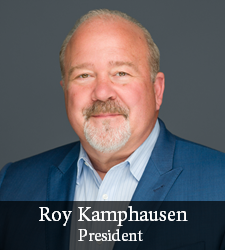 He coordinates all aspects of NBR’s financial, business, and programmatic operations and serves as secretary to the Board of Directors. 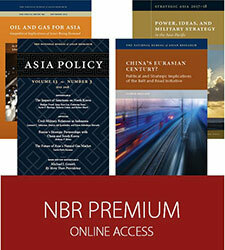 Mr. Wills also manages NBR’s publications program, including the Strategic Asia series and the Asia Policy journal. His research interests include international security and the international relations of Asia, particularly China’s relations with Southeast Asia. 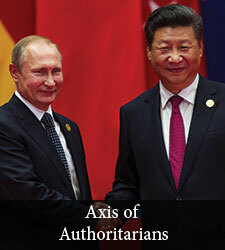 He is co-editor with Robert M. Hathaway of New Security Challenges in Asia (2013) and has co-edited six previous Strategic Asia volumes with Ashley J. Tellis—including Understanding Strategic Cultures in the Asia-Pacific (2016), Foundations of National Power in the Asia-Pacific (2015), Domestic Political Change and Grand Strategy (2007), Trade, Interdependence, and Security (2006), Military Modernization in an Era of Uncertainty (2005), and Confronting Terrorism in the Pursuit of Power (2004). He is a contributing editor to three other Strategic Asia books and several other edited volumes. Before joining NBR, Mr. Wills worked at the Cambodia Development Resource Institute in Phnom Penh and with Control Risks Group, an international political and security risk management firm, in London. He holds a BA (Honors) in Chinese studies from the University of Oxford.